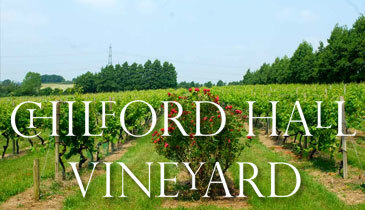 Chilford Hall Vineyard was established in 1972 and is situated just to the south of Cambridge. We are a grower, producer, bottler and contract winemaker. We produce a number of white, red and rose still wines along with white and rose sparkling wines. The vineyard offers tours and tastings with lunch or afternoon tea throughout the year and was privileged to be awarded the Best Told Story accolade from Visit England for 2018.